1. Do not move your vehicle. It is very important that your vehicle stays in the original location for insurance purposes. 2. Call the police. They will be able to assist anyone that is injured and so that the crash is documented. 3. Take pictures of the vehicles, the accident scene and any visible injuries you and your passengers may have. 4. Write down the names, addresses, and phone numbers of all witnesses. 5. Get the other person’s insurance company name and policy number. If they have their insurance card, take a picture of it. 6. If it looks like the other person is going to leave the scene, take pictures of them, their vehicle and their license plate. 1. If you report the claim to your insurance company, make sure they understand you were not at fault. You will be required to give a verbal and /or recorded statement to your insurance company. 2. You are not required to give a statement to the other person’s insurance company, but they may tell you that they can’t determine liability without your statement. Offer them a copy of the crash report. You do not want to be in a position of regretting something you said. 3. If the other insurance company is giving you a hard time, or dragging their feet on your claim, you may want your insurance company to handle it to get your vehicle taken care of quicker. Be aware that your own company will subtract your deductible from any payments they make. 4. If you’re injured, get medical attention as soon as possible from the ER, urgent care, or your family doctor. Don’t just assume your injuries will get better. 5. If you would like to speak to an experienced car accident attorney, we’re here to help! There are 3 basic parts to an accident claim. It’s important to understand each part and how it impacts the value of your accident claim. With our 40 years of experience, we know how to determine what each part of your accident claim is worth. More importantly, we know how to get our clients fair amounts for each part. This is the amount of your claim associated with damage to your property. For example, the damage to your car from the accident. The amount you are entitled to receive for property damage is straightforward and consistent. For example, if your car is damaged beyond repair the insurance company will determine the value of the car based upon researching values for similar cars in the local market and making adjustments up or down. That is the amount of money the insurance company will pay you. If calculated correctly, that value is a fair amount. There is not too much for you or the insurance to a dispute over this part of an accident claim. Economic losses are the actual costs and future estimates associated with your injuries from the car accident. These costs and estimates are supported by bills, statements and other similar documents. Economic losses are the part of an accident claim where it can get a little complicated. You need to assemble all the documentation for the costs and losses you have incurred from your injuries. You also need to come up with estimates for any future costs and losses. Depending on what type of injuries you have, these future estimates can add up to be a very large number. 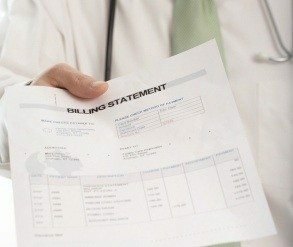 Unlike economic losses, non-economic losses are not calculated based your billing statements from a hospital. Non-economic losses involve your emotional trauma and alterations to your lifestyle as a result of your car accident. Non-economic losses are complex and proving these types of losses can be complicated. This is the part of an accident claim where we are most effective for our clients because of our experience and resources. It is very important to get necessary medical treatment as soon as possible after an injury to make sure that your injuries can later be validated. You should document any treatment received whether at the Emergency Room, an urgent care facility or at your doctor’s office. If you have doubt about whether the injury is too minor, have it checked out by medical professionals. Secondly, it is very important to speak with a lawyer as close to the time of injury as possible. Personal injury claims must be filed within a certain amount of time in Ohio. Depending on your claim, there could be differences in the timeframe allowed by law. If you delay consulting with a lawyer about your case—remember there is no cost and no obligation to meet with an attorney from Slater & Zurz LLP– that time period may run out and you (the plaintiff) may be prevented from filing a claim concerning your injury. Slater & Zurz LLP has conveniently-located offices in Akron, Columbus, Cleveland, Canton and most of Ohio. Arrangements can be made to meet with a Slater & Zurz personal injury attorney in other locations throughout Ohio if that is more accommodating. You can set up a meeting with an attorney by calling the law firm at 1-888-534-4850, or you can go to their website at slaterzurz.com and “chat” with a legal representative. You can also contact the firm by filling out a short form on the website that you can electronically send to the law firm. Slater & Zurz offers a 24/7/365 response to your contact.